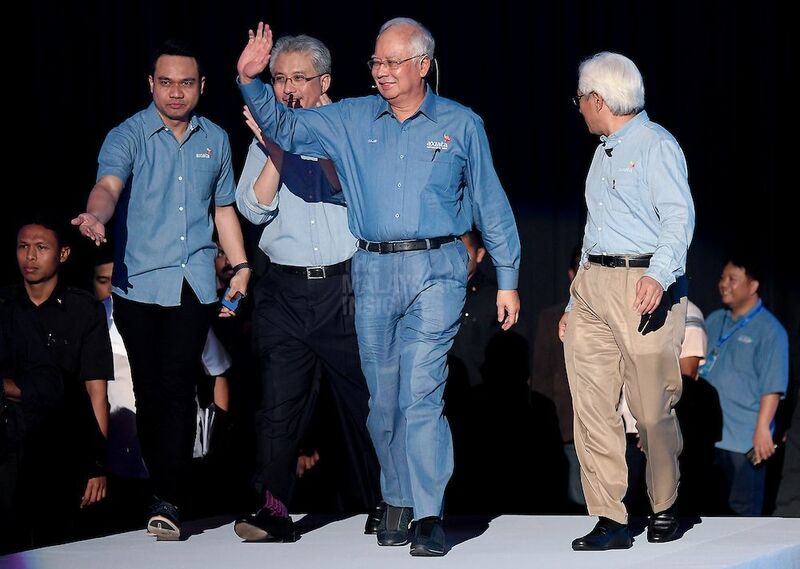 PUTRAJAYA is removing more chief executives in government-linked companies (GLCs) in a continuing purge of Barisan Nasional (BN) political appointees following the change of government in the May 9 polls. The Pakatan Harapan (PH) government has ended the contracts of Malaysia Airports Holdings Bhd (MAHB) chief executive Mohd Badlisham Ghazali and Malaysian Resources Corporation Bhd (MRCB) chief executive Mohamad Salim Fateh Din, effective end-June, sources said. The Malaysian Insight understands their replacements will be announced in the next two weeks. Mohd Badlisham, who became MAHB CEO in June 2014, was from Malaysian Digital Economy Corporation while Salim is a substantial shareholder of MRCB vis his private company Gapurna. MRCB’s majority shareholder is the Employees Provident Fund. The sources said several other CEOs in government-linked investment companies and banks are expected to end their tenure by September, apart from a number of top civil servants who will be replaced as soon as possible. “It is a matter of time for the political appointees, especially those seen as close to or campaigning for the BN government in the 2018 elections,” a source told The Malaysian Insight. “It is about professionalism and loyalty. Putrajaya wants those who can work, not those seen as part of the choir for the previous government, ” he added, in an allusion to a music video of 53 GLC chiefs performing a song linked to the BN “Hebatkan Negaraku” election campaign slogan. The presumptive chief architect of the music video and BN election campaign, Mohamed Shazalli Ramly, resigned as Telekom Malaysia Bhd chief executive on June 6. “Some people might see it as revenge but the reality is PH wants people who can perform the duties of the CEO – that is to lead the company and provide the best returns for the shareholders, which is the government. “They don’t want ‘budak pancaragam’ (band boys) leading a critical component of the local economy,” another source told The Malaysian Insight. He said there was some lobbying to retain these CEOs, but the Mahathir government was clear that political appointees had to go. Most of these CEOs have met and explained their work to the Council of Eminent Persons (CEP) led by former finance minister Daim Zainuddin in the past few weeks. They are CEOs of GLCs in government-linked investment companies (GLICs) such as Khazanah Nasional Bhd group under Ministry of Finance Inc, the EPF stable of companies, and Permodalan Nasional Bhd (PNB) and its subsidiaries. It is understood that some of the GLIC chiefs will also be replaced in the purge, the last to go by Malaysia Day on September 16. It is learnt that a number of top government servants have met the council members and are awaiting their fate to be made known after the Raya holidays this past weekend. “These top government servants will join the rest to be put to pasture. In fact some of them can also expect criminal prosecution for their role in the previous government,” the source added. “We need to fix these institutions and get the best to work, not those there by political intrigue and ties.” – June 19, 2018.